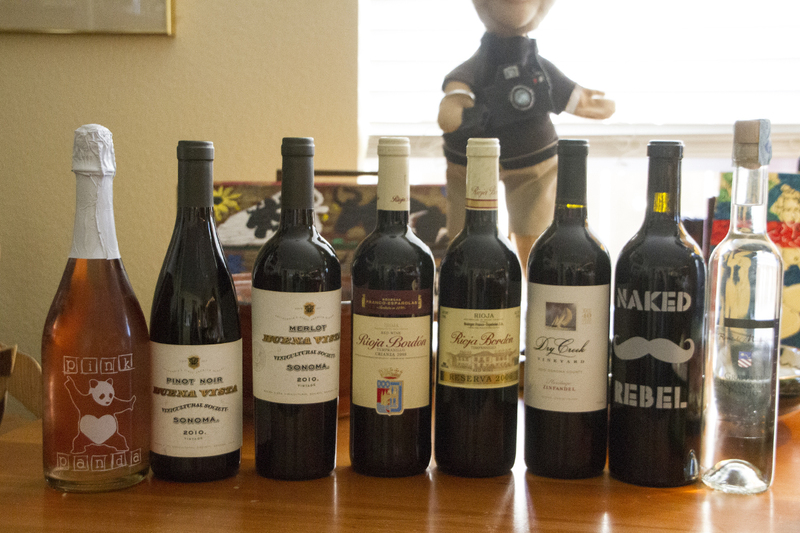 It was a busy week for wine aficionados in Southern California. 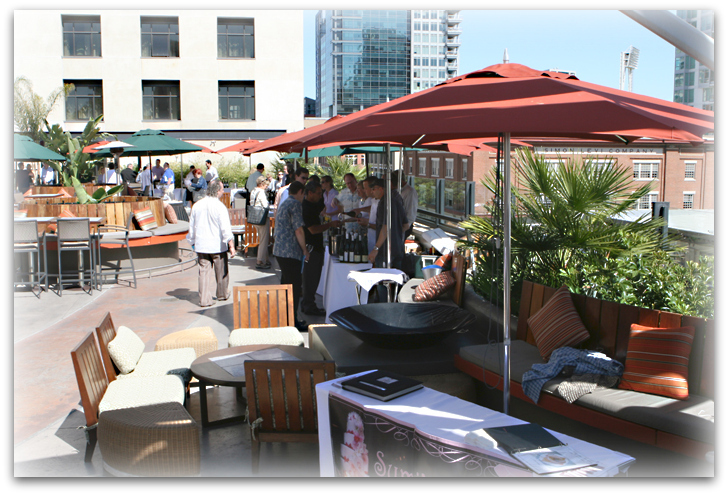 Last Monday I went to San Diego to the beautiful Lounge Six at the Solamar Hotel in downtown for R & R Wine Marketing‘s Spring Portfolio Tasting. 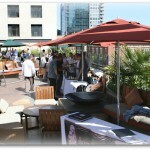 The weather was picture perfect and the views were awesome… Petco Park, the downtown skyline and the Pacific Ocean. 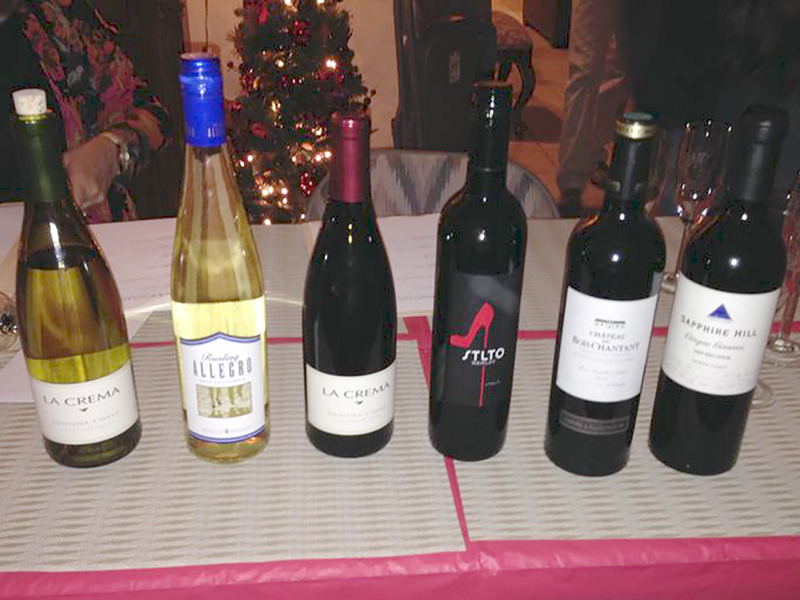 I was also introduced to some spectacular wines. 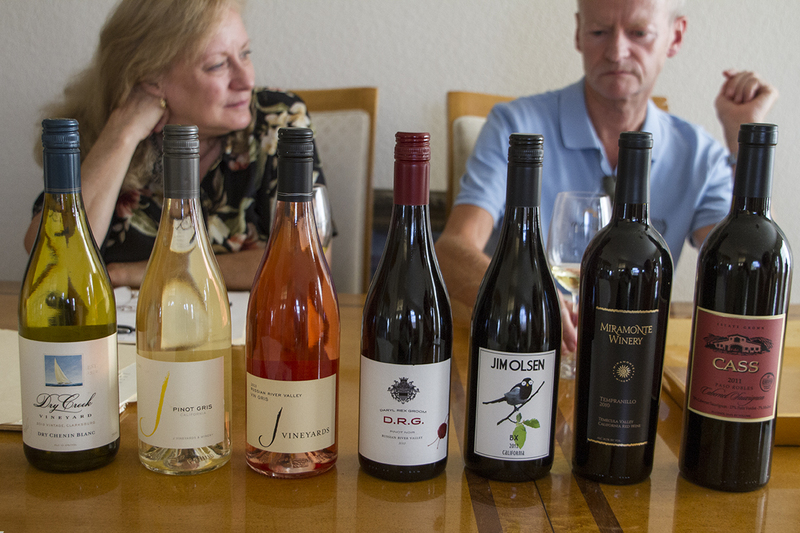 I tasted old favorites from places like Vina Robles, Tobin James Cellars and Minassian Young and fell in love with some wineries I wasn’t familiar with before. ARGCA Imports was pouring some incredible Argentinean Malbecs, and the Dolce Stefania Reserva was one of the better ones I’ve tasted. I look forward to doing a more in-depth review later. 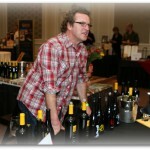 Vic Bourassa from Bourassa Vineyards was pouring some truly beautiful Merlot and his Harmony blend. It was love at first sip. 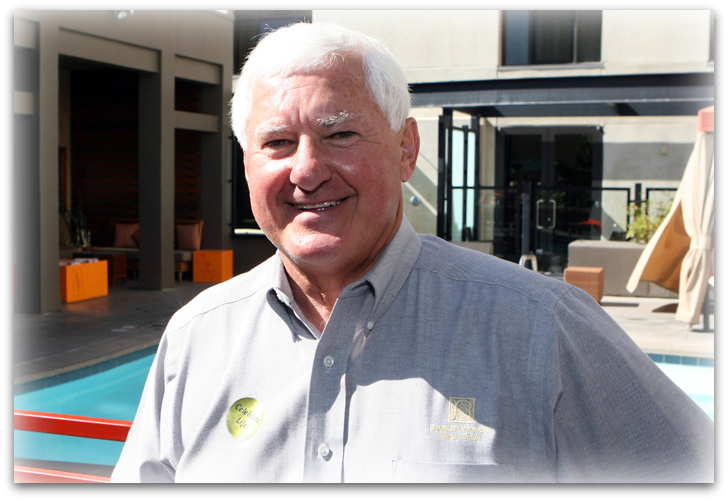 Vic is outgoing, proud of his wines and a great guy to visit with. 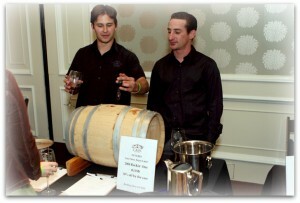 I spent some time with Elizabeth Pressler and Spencer Graham from Eilzabeth Spencer Wines. I immediately found a desire to visit their winery in Napa after sampling their Chardonnay, Cab and Pinot Noir. 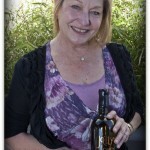 You may be aware I’m a huge Zinfandel fan, and as luck would have it, Shannon Pestoni was there from Jelly Jar in Napa. It just may have surpassed Rombauer as my favorite Zin. Yet another stop on the next tour. I visited Lisa Groom from Groom Premium Australian Wine and sampled some tasty Shiraz and Sauvignon Blanc from the Barossa Valley and Adelaide Hills. 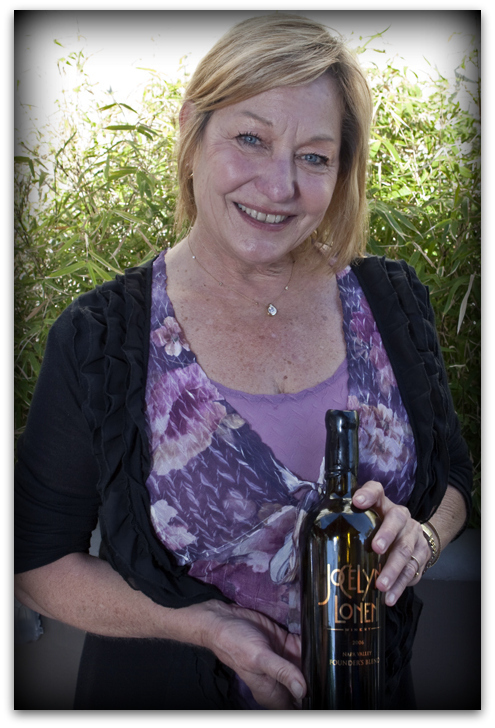 Finally I stopped to visit with Susan Curtis from Jocelyn Lonen Winery in Napa. Susan is a remarkable woman who is carrying on her late husband’s dream. Her wines, particularly the Cabernets and Chardonnays, are magnificent. 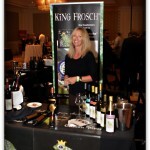 Last Thursday evening we attended the first of three events in Orange County’s 1st Annual California Wine Festival. 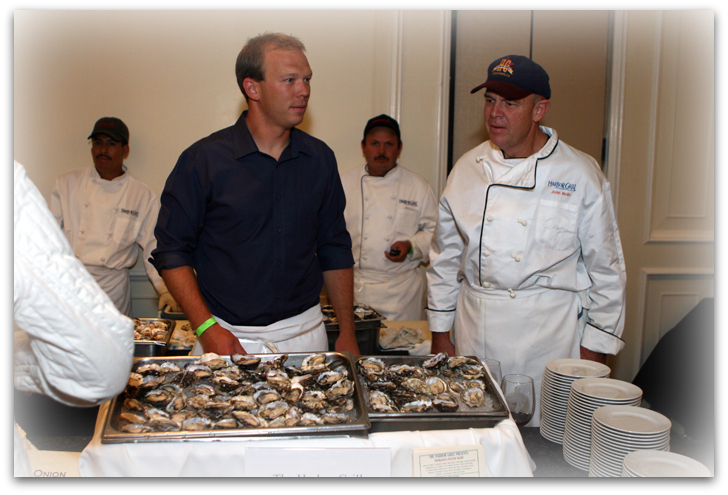 The Ritz- Carlton Grand Ballroom was the venue for “Taste The Future”, a tasting of future releases along with selections of sustainable seafood. 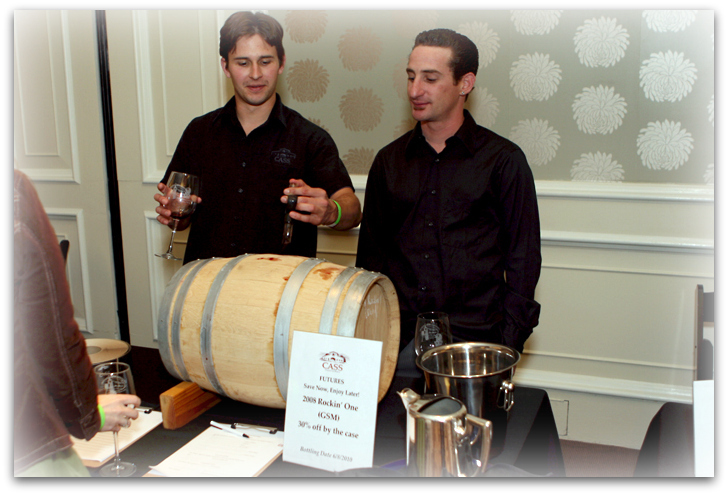 Again we ran into some familiar faces – Bryan Cass from Cass Wines offering barrel samples (from an actual small barrel) of the ’08 Rockin’ One GSM. The name Rockin’ One comes from the name of the road bordering their vineyard to the West. Rockin’ One was originally a cattle brand on a cow pastured where the vineyard is now. After the cow died, the name was passed on to a cutting horse. When he died, they named the road Rockin’ One. It’s a wonderful blend of Syrah, Mourvedre and Grenache that will only improve with age. 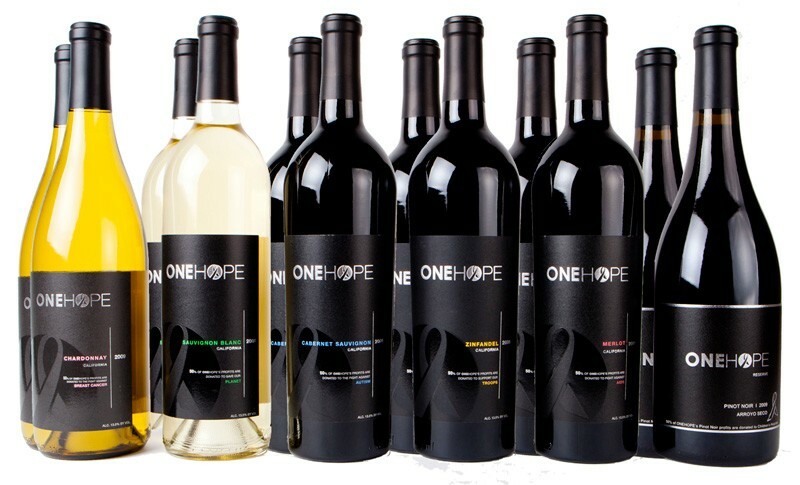 Sophia Stephens from Kiamie Cellars was representing with the ’07 R’Own Style Blend (Syrah, Grenache, Zinfandel and Viognier) and the ’07 Meritage (Cab Sauv, Merlot, Petit Verdot and Malbec), both slated for release later this year. 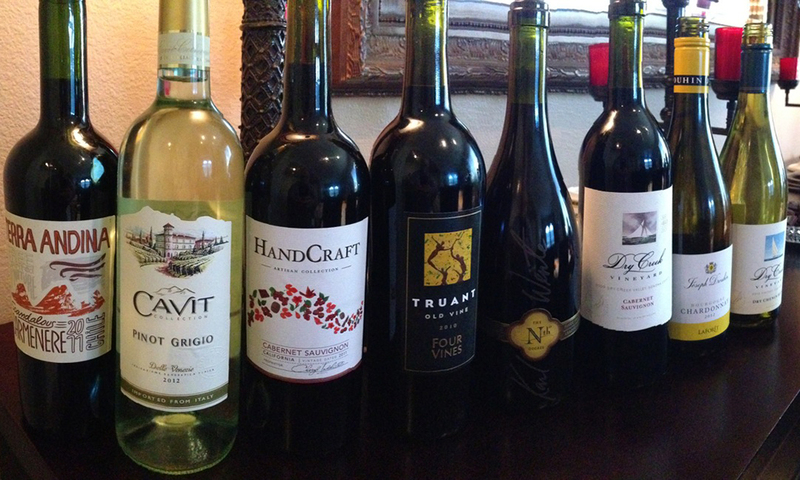 She also poured the current release of Kiamie Kuvée, the ’06 with Cab, Syrah, Merlot, Zin and Malbec. Kiamie is a blending house and their wines are extraordinary. Four Vines is producing premium wines in Paso Robles and Stew McLennan was pouring several of their wines, including the ’07 Peasant and ’08 Anarchy blends and the ’07 Loco Tempranillo. He also poured both the ’08 Biker and Maverick Zins, seven wines altogether. 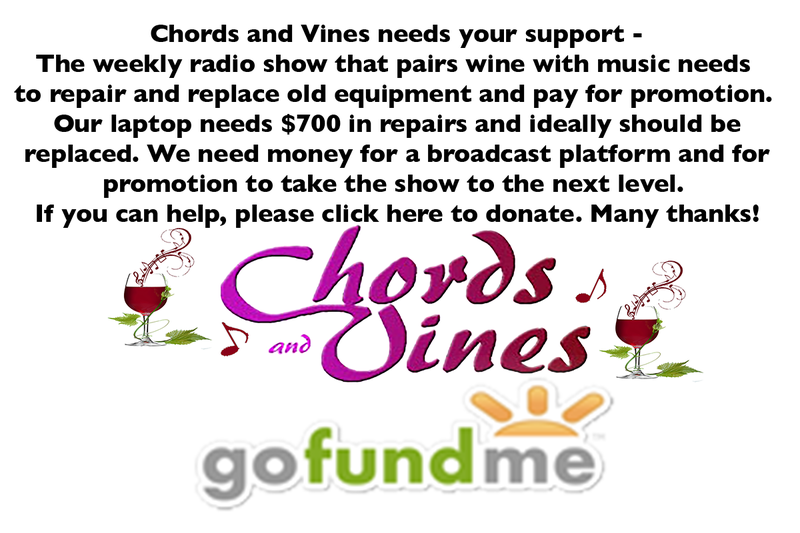 It’s no accident their wines receive so much critical acclaim. 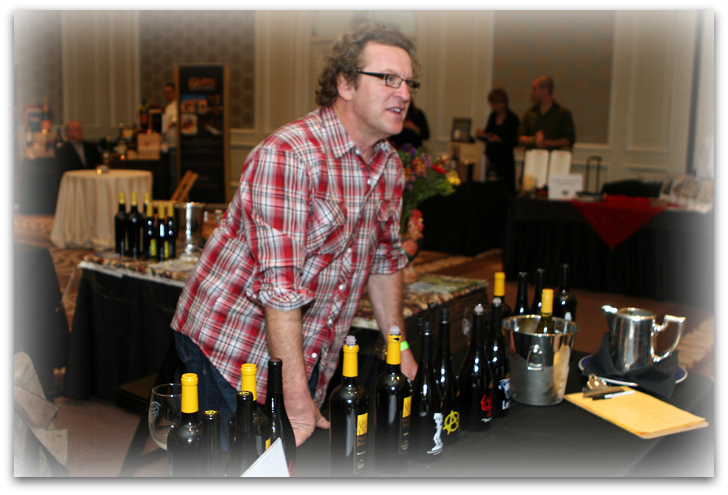 Ed Sellers from Edward Sellers offered some of master winemaker Amy Butler’s fabulous wines, including the ’07 kitchen sink blend Cuvée des Cinq with Mourvedre, Syrah, Grenache, Counoise and Cinsault and Le Thief, a Syrah, Mourvedre, Grenache blend. 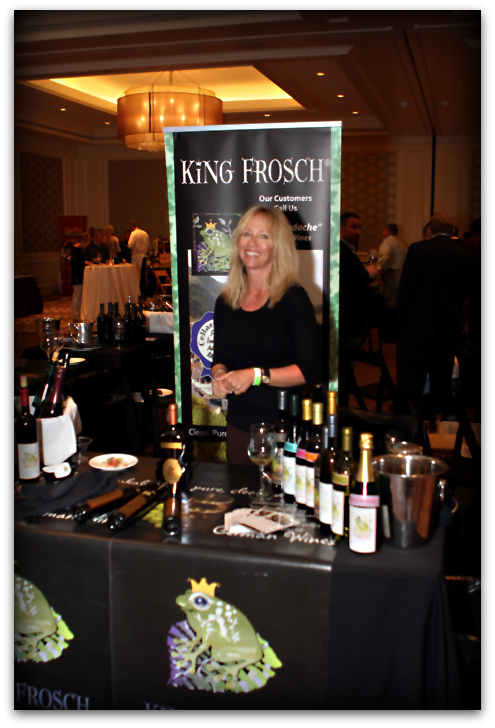 King Frosch has a huge line of German wines that are touted as being “headache free”. They claim it’s because their wines are low in sulfites and histamines and are made using all natural production methods. 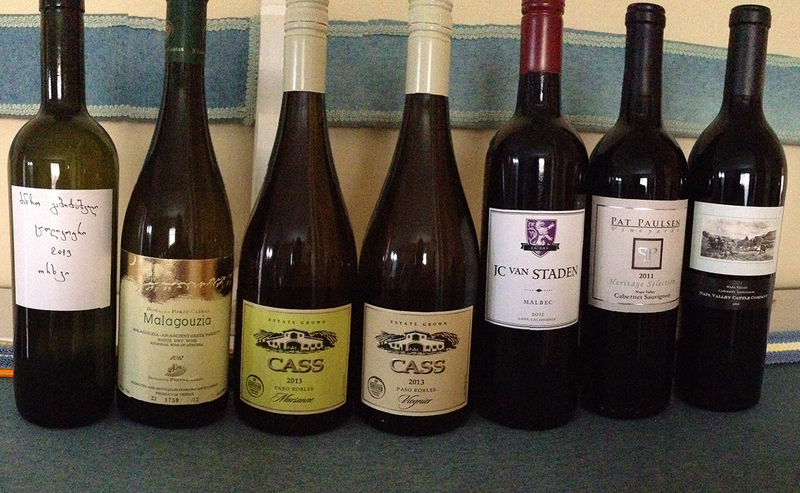 I tasted some Gewürztraminer, Dornfelder, Pinot Noir and a sparkling Pinot Noir and found them to be quite tasty. I also enjoyed meeting Claus and Karla! I look forward to trying their wines again soon. 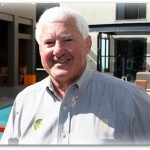 I had heard of Prager Port from Napa, but had my first opportunity to taste their wares and to meet John Prager. I found the Aria White Port made from Chardonnay grapes to be delightfully different, and, as described, to have a hint of Scotch on the nose.It was also a pleasure to meet David Hopkins, winemaker for Bridlewood Estate Winery in Santa Ynez and taste of barrel sample (still cloudy) of his Chardonnay. It was wonderfully balanced and will deliver a nice finished product. 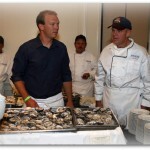 The food was a seafood lover’s delight, with lobster bisque, oysters on the half-shell, sushi and more. When I’m not drinking wine I love a good tequila or vodka and I was in luck on both counts. Marco Ramos was pouring one of my favorite tequilas, Forteleza in Blanco, Reposado and Añejo versions. It’s a classic tequila that I think outshines Patron. I then met Lance Jordan who introduced me to Karlsson’s Gold Vodka, made with seven different potato varieties and single-distilled. I was actually able to pick up the potato on the nose and found it be superior. Lance then ground some fresh black pepper into a shot and that was also a treat. With our itinerary filled the next two evenings this was the only night we could attend, but I’m already looking forward to next year.